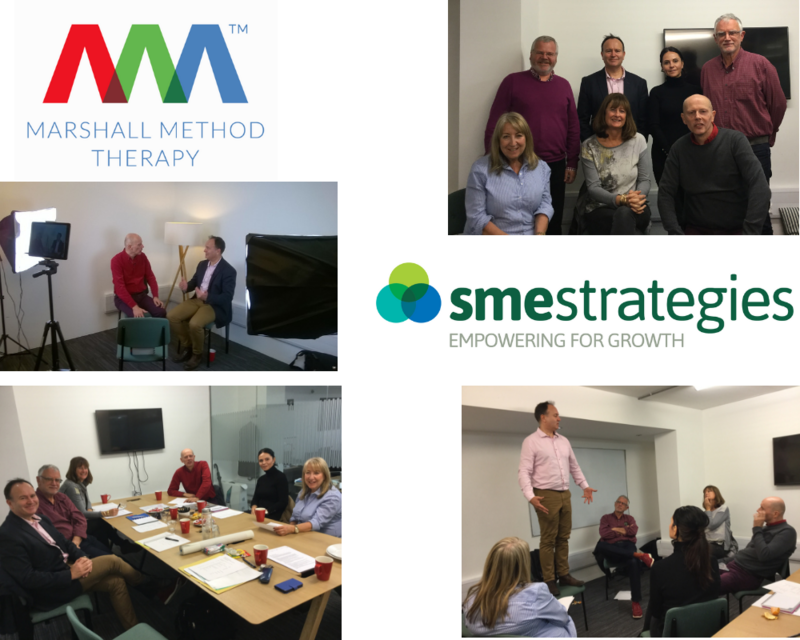 Marshall Method Therapy (MMT), a client of SME Strategies, held a very exciting team training day at Central Working Shoreditch in London on 2 November. MMT provides face to face and Skype relationship counselling to couples and also individuals. The practice is led by Andrew G Marshall, author of the international best-seller ‘I Love You But I’m Not In Love With You’ and he has written 19 other books on relationships full of practical advice on saving relationships and putting new life into flagging ones. Andrew also runs an online private infidelity support group to help those whose partners have been unfaithful. The training day included practice development, some new counselling techniques and we recorded a great new video on ‘The power of arguments in relationships’ for the website. Intensive therapy is increasingly being asked for by clients owing to its power and effectiveness and this is being rolled put for the benefit of clients of the practice. It is always exciting as a business adviser/finance director to be working with a client who makes such a positive difference to the world!